Bandai’s idea behind the ASOS Brigade is to reach out to everyone who has already become fans of the series through watching the fansubs. They have created their own amateur-style home movies and are posting them on the internet via streaming video services. They also created a Myspace page and encourage fans to connect with the franchise through social networking. The movie is done “for fans by fans” style, and they really know how to please their target audience. The movie interlaces Japanese and English dialogue with a Korean-American actress, former Pink Ranger Patricia Ja Lee, playing the lead role, and two Japanese actresses playing her sidekicks. Lee even admits in the film that the Japanese actresses are only meant to appeal to the otaku fanboys. This is a very suitable attitude for the character she portrays, and is even more entertaining when we, the otaku-fanboy audience, realize how true it is. But the video also dives into other aspects of the online anime community that we weren’t expecting from a company like Bandai. Internet catchphrases like “O Rly?” and “No Wai!” are used through out the video, which are only used by visitors of such otaku-influenced websites like 4chan.org and ytmnd.com. Also, after fans complained over Lee’s choice to translate the word to “psychic” over the word “esper”, a new subtitled version of the video included the fan-preferred word written under the original recording. And while this Myspace page (like most Myspace pages) is a nightmare to look at, it is actually one of the greatest parts of this campaign. The profile is done through the point of view of the series’ narrator, Kyon, and the blog that is featured on the site is very well written and entertaining. And that is where I feel the ASOS Brigade holds its defining characteristic. 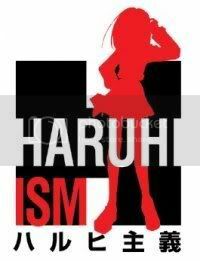 Many people feel that Haruhi will never sell well in the US because most of the fans have already seen the show through illegal methods. This campaign is an attempt to target the fansub community into actually supporting the series financially when the opportunity is available to them. The movie ends with special thanks to “All fansubs lovers who buy the official DVDs and who help support more creative works,” and specifically gives no thanks to “downloaders/bootlegers who never buy the official DVDs.” This is a very bold statement, but I completely understand where they are coming from. Bandai did a similar marketing stunt with their announcement of the Kannagi anime during Otakon weekend earlier this year. And then yesterday, Christmas Day 2009, the ASOS Brigade website sparked back to life. The campaign is now utilizing Facebook and Twitter to promote what appears to be Bandai’s acquisition of Haruhi’s second season and / or spin-off “webisode” series. This entry was posted on Saturday, December 26th, 2009 at 5:28 pm by Scott	.